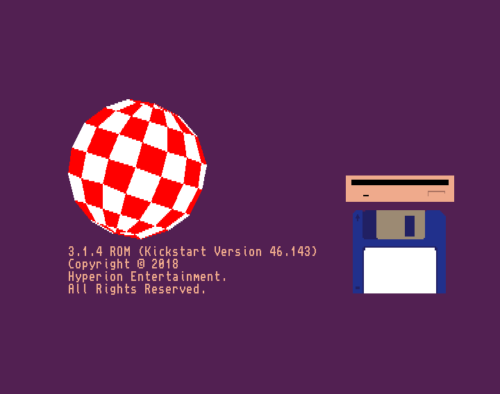 Release date: September 30, 2018 Official updates and bug fixes to the original Commodore-AmigaOS 3.1 code by Hyperion (unfinished by Commodore due to their bankruptcy on April 29, 1994). Over 20 Kickstart ROM modules and many more disk-based core OS components fixed, updated, or added. Native support for all Motorola 68000-68060 CPUs. Support for large hard disks, including boot, for any OS 2.x/3.x-compliant controller driver supporting HD_SCSI_CMD, TD_64 and/or NSD. Dedicated boot partitions are a thing of the past, even on legacy devices. You can also use variably-sized "SuperFloppies". 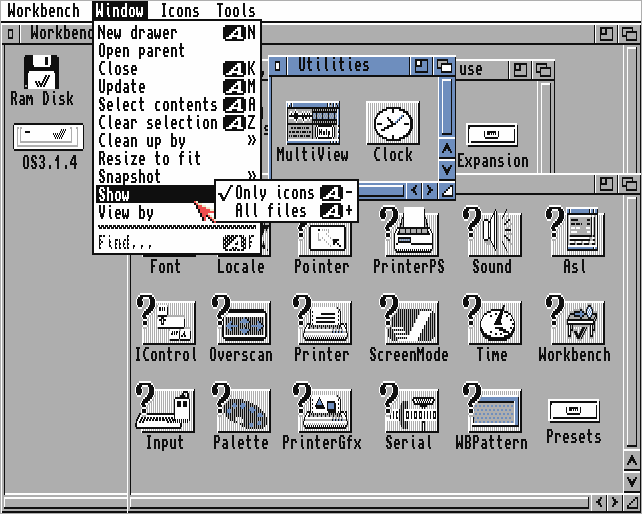 A modernized Workbench as powerful as the OS 3.9 version, including new or updated Preference editors in the legacy OS 3.1-"GadTools" style. Its tools such as DiskCopy and Format fully support large media. Printer, hard disk and many other support tools have also been fixed and/or upgraded. DiskDoctor: Completely rewritten, and ready to reliably rescue data from floppy disks and hard disk drives. The Shell/CLI and many of its commands have been reworked and modernized, with native support for pipes, softlinks, hardlinks and long filenames. New commands support running Workbench programs from the Shell or upgrading ROM modules. CrossDOS and the CDFileSystem are now smarter, faster, and multi-threaded, adding Rockridge and Joliet extensions as well as UDF (DVDs). Printer drivers: Fully reworked, modernized and bug-fixed, including support for PCL and PostScript, along with legacy NEC and Epson printers. An optional, upgradeable intuition.library provides off-screen dragging of windows for native and Picasso96 RTG screens. A colorful, professionally-designed icon set is included, along with the traditional four-color icons. This was primarily intended as a bug-fix release.